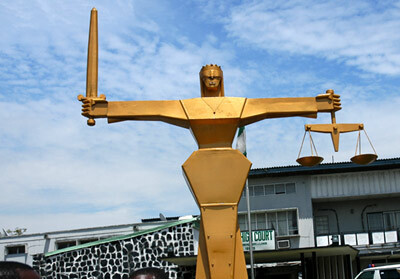 Woman arrested over alleged attempt to set husband ablaze - BlogIT with OLIVIA!!! Operatives of the Criminal Investigation and Intelligence Department, SCIID, Yaba, have arrested a woman, who allegedly attempted to set her husband ablaze, during a squabble at their Ejigbo residence in Lagos. The couple, Mr. and Mrs. Chukwuma, as gathered, had been having issues which culminated in the husband leaving home, and filing for a divorce suit. Vanguard gathered that the unexpected happened, last Wednesday, after Chukwuma visited his children at school, and brought them home. The wife locked the gate, went for a jerrican containing petrol and poured it on her husband. She dashed inside again and came out with a lighter to ignite fire on her husband, but he escaped through the fence.